In what’s become an annual tradition for six years now, here’s a quick look at the gear I’m taking to cover the Consumer Electronics Show (CES). Last year, I did a video walkthough of the gear, but I’m already at Philadelphia International Airport, so a short post will have to do. This time around, my gear is more minimal than ever — even less than in 2008 when I worked the show with an ASUS Eee PC 701 netbook! Several of the gadgets with me are among my favorites from the last year; here’s the list of what I’m carrying and why. MacBook Air. (s aapl).The 13-inch base model with a total of 4 GB of RAM is a real workhouse for what I do, which is mostly online work. But the Air works just as well for editing and encoding high-definition videos as my old MacBook did. And unlike the MacBook, I can go for nearly eight hours on a single charge. The SD card slot is a help as well; images and videos from my camera can easily be imported. 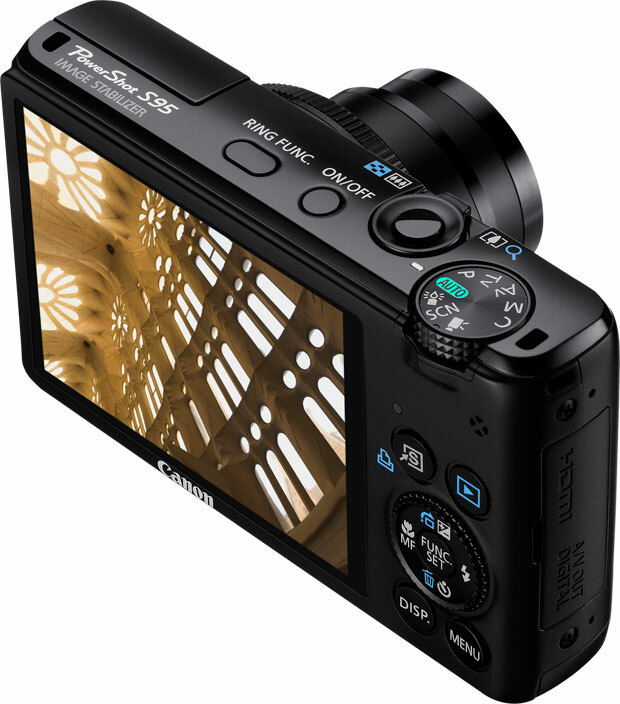 Canon S95. My new point-and-shoot is super in low light, which is key for the show. It also works really well for 720p video and fits in a pants pocket, so there’s no need for me to take both a bulky DSLR and handheld camcorder. The spare battery I have for the S95 is small and weighs practically nothing, so I’m good for all-day shooting. Google Nexus One (s goog). My old standby smartphone surely has to come along for voice calls, Twittering from the show and more. I have a spare battery for this too, which is handy, because I often use the phone as a 3G mobile broadband device — like right now, since the airport Wi-Fi is on the fritz for me! GorillaPod Tripod. This tiny, telescoping tripod folds up nicely in my gear bag and although I may not even need it, it doesn’t add much weight to my bag. If I don’t take it, I just know that I’ll need it, so it made the cut. That’s essentially it for the show floor, although I’ll likely tote the power cord to my Mac Book Air as well, since there are plenty of places to top off the battery. Other nice-to-haves coming along for the ride are my Samsung Galaxy Tab and iPod touch (s aapl), but those are mainly for the flight and in my room. I considered taking the Tab on the show floor for mobile blogging, but it’s not optimal for the longer form posts that I’ve been writing of late. And due to our extensive customizations for GigaOM, the WordPress mobile client sometimes acts up on me, so blogging on the Tab isn’t likely. However, my Tab doubles as a T-Mobile 3G hotspot, so if I suspect my phone may not make it through a day, the Galaxy Tab could find a home in my bag. I also brought a Verizon (s vz) MiFi as an extra precaution, mainly because it adds next to nothing in terms in bulk or weight. Thanks to my two Android mobile hotspots and their unlimited 3G plans with T-Mobile, I rarely use the MiFi these days. In fact, if I don’t use it at all on this trip, I’ll probably suspend the month-to-month service or even cancel it altogether. All told, I suspect the CES gear in my bag or on my person weighs around four to five pounds, which is the lightest I can remember. Often, I take so many extra cables, laptop batteries, camera lenses and such that my bag can easily weigh eight pounds or more, but after six years of CES, I’ve learned my lesson: travel as lightly as possible without sacrificing the ability to get work done. This weight reduction illustrates how mobile technology has changed in the last-half dozen years; devices are more connected, battery efficient, smaller and lighter than ever! I thought about your previous post on the camera, after my little point and shoot was run over by a snow plow last week. I replaced it with a similar model (Canon ELPH), but like something that fits in a pocket, but with video that can work for interviews. Can’t wait to see your posts from CES! Hoping one of these years I’ll get there. Yea, your bag is still much more than mine. I had more gear collected from CES than I took there when I went last. My usual traveling tools are smartphone, wireless keyboard, spare battery, and solar charger. The perspective was always different when you spoke to executives without the pack on your back. Am jealous that I’m not at CES this year though. Got a feeling that the second day just might be ripe with some neat surprises. Looking forward to your reports. What are you using as a physical bag during the show? Cool. Enjoy the trip. Looking forward to the Android goodness.